Fewer extinguishers needed, fewer made, less contents to dispose of. Aramid type fibre (Kevlar®) protected inner core. Strong and extremely light,it is used to create bulletproof vests and fire retardant gloves. 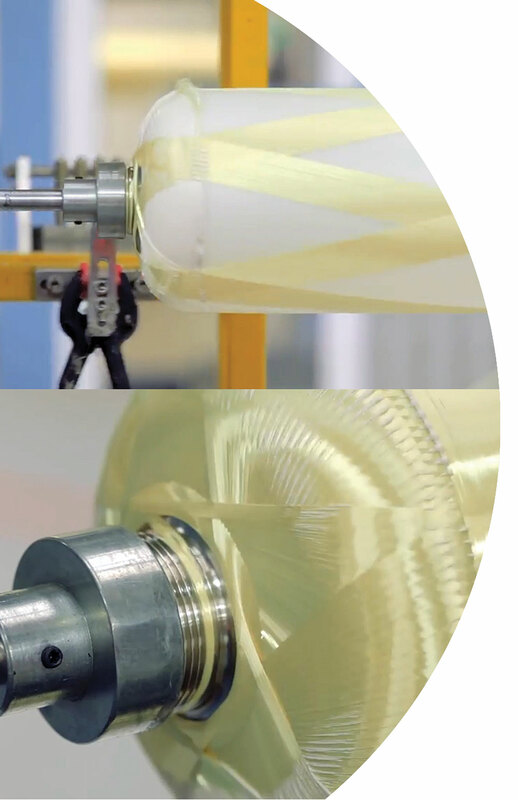 Scores of spun aramid layers on a 5-layered inner chemical container create an inner core of the P50 extinguisher of incredible strength and durability which is corrosion resistant. One in every 500 P50 extinguishers is tested by pressurising it 12,000 times to 25 bar before crushing it flat. After this cycle and crush test the extinguishers are pressurised to over 55 bar and must not burst or leak. Stainless steel handle and pin. Maintains strength in the unit and prevents corrosion. Dual pressure indicators. Cross-verification of the pressure readings with a second indicator. Nickel plated brass head. To prevent corrosion. Flame retardant case with UV protection. 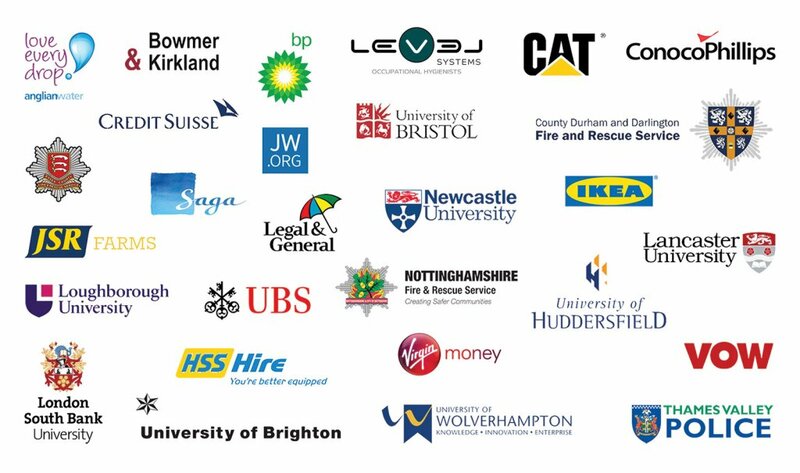 World recognised patented design , meeting all the required regulations. This example compares the cost of one P50 Foam extinguisher to the costs of one Foam and one CO2 metal extinguisher, over 10 years. 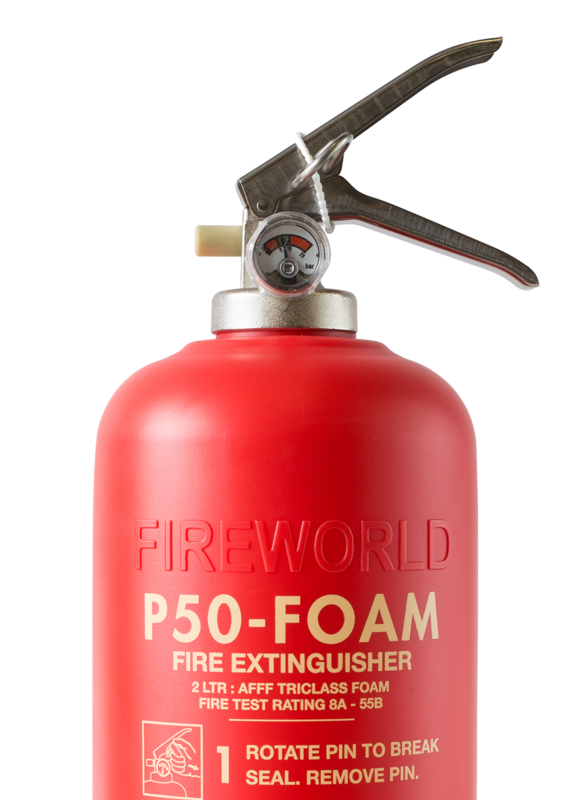 Note: one P50 covers multi risks and can replace 1 Foam and 1 CO2 metal extinguisher. Includes delivery, signs, installation and commissioning. Discounts will be applied for P50 orders over 10 units. Alternatively, phase in the P50 using your annual service budget. This example is for an organisation replacing 1,000 metal extinguishers using their current ‘annual service’ budget (typically £15,000 per year for 1000 extinguishers). Once your P50 turns 10 years old we can arrange for it to be refurbished, giving it another 10 years service and even more savings. 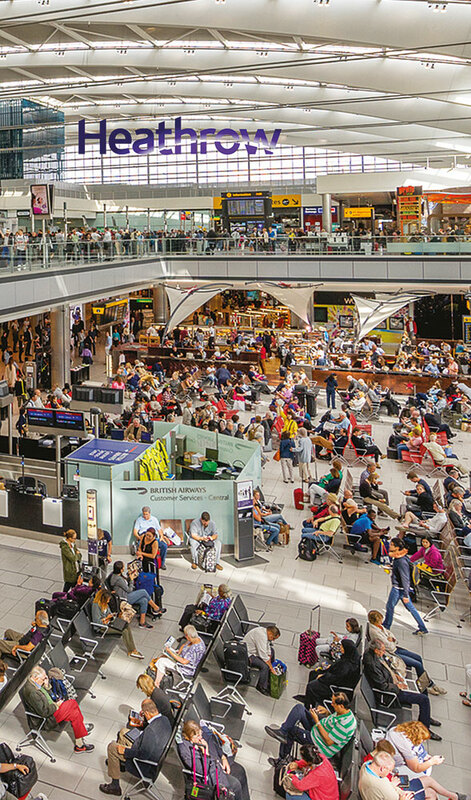 With over 78 million passengers passing through it in 2017 Heathrow Airport continues to grow year on year. As the first fire extinguisher cased in recyclable composite, that delivers a 20-year life span, the P50 has been chosen to protect the airport as part of its ambitious sustainability strategy known as Heathrow 2.0. 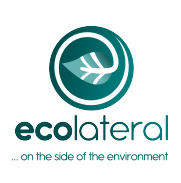 “Traditional metal extinguishers typically come with parts imported from Asia and with the P50 we will instantly see a reduction in the supply chain carbon footprint by restricting transit from Asia to the UK. “The P50 needs just a single refill in its 20-year life span, after which it can be recycled for re-use rather than being sent to land fill.” The technology behind the P50 also means fewer extinguishers are needed on the premises since it covers multiple risks, he said.